If you've yet to have the pleasure of meeting the leader of our fabulous city, allow us to introduce you to Mayor Walter Sendzik. 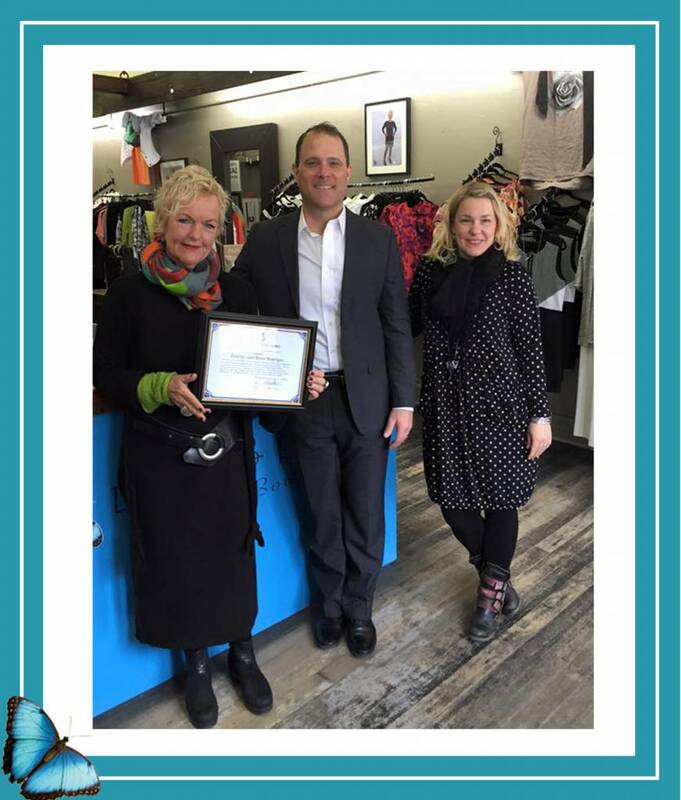 We have been fortunate to have several interactions with Mayor Sendzik throughout the past few months and we have thoroughly enjoyed getting to know him and learning about all of the great things he is doing for the city of St. Catharines. One of his missions is to continue to revitalize the Downtown core, and naturally, we fully support this goal! As a result of his efforts, we have seen an increase in foot traffic, positivity, and people supporting local business and we could not be happier. Mayor Sendzik was so happy to discuss the revitalization project that he invited Lousje onto his TV program, Our Home with Walter Sendzik to talk about it some more. Fast forward to 13:36 in the below video to see our TV star, Lousje! In addition to the downtown revitalization, Walter has also put a very large focus on launching the Compassionate STC Project, an initiative to address poverty and homelessness in the city. The first of its kind in Canada, the project is working to create a culture of compassion and understanding, while empowering citizens to be a part of helping and changing the future for those in need. One of the pilot programs under the Compassionate STC Project has been to create a Mobile Crisis Rapid Response team within the Niagara Regional Police. This program pairs a social worker with an on duty officer to ride along and respond to mental health calls. The expertise of the social worker in conjunction with officers has lead to much more professional intervention and resource deployment as an alternate means to criminal apprehension. This gives citizens suffering from mental health some of the help they need while also avoiding the drain on police services and unnecessary apprehension. To see a visual display of the Compassionate STC Project at work, you can view some of the works chosen for Art me Up Goes to City Hall, a juried art exhibit at City Hall displaying the works of chosen artists struggling through tough times. The exhibit was started by Start me Up Niagara, a charitable organization that helps by offering opportunities to increase their employment, community integration and housing supports. The ability to exhibit their work to those who may never have seen it empowers individuals to use their art as both a way to heal and to potentially earn income. We are so proud to be part of this fantastic city and to be supported by a mayor who is committed to real change. We can't wait to see how Mayor Sendzik continues to revitalize both our communities and our citizens to work together to see positive growth and we are behind him 100%.